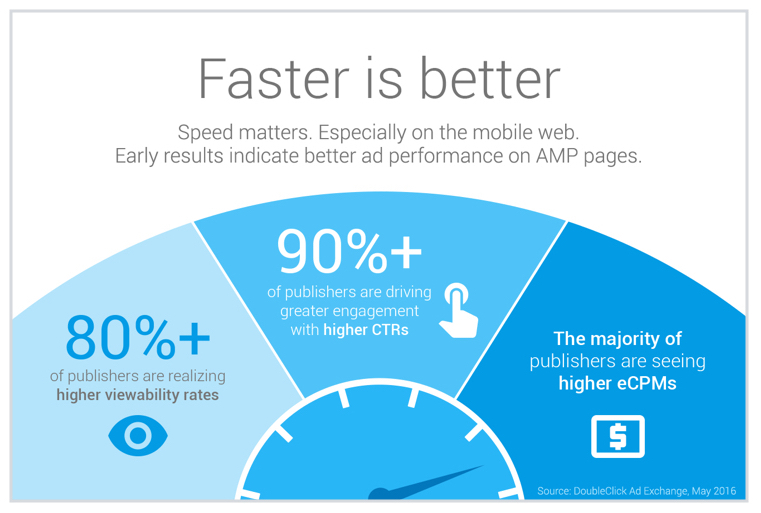 AMP, a neat acronym which stands for Accelerated Mobile Pages. For those who have never come across the term, AMP is an open-source project, created by Google in late 2015. This initiative aims to “make the web better for all,” but what Google really means by this is that they aim to make the web more seamless and fast for all. After all, no one likes slow load times. The AMP Project is all about delivering your content to mobile devices, whether it be ecommerce web pages, or, ads, in an extremely efficient, high-performance manner. At the very core, the AMP Project is about going back to basics and stripping HTML right down. And if you’re scratching your head at the “open-source” part of the AMP Project, that one is simple to explain. Just say you felt inclined to incorporate AMP into your web pages after reading this post, you could, technically, go forth and create these yourself using the free tutorials and guides, which take you through the entire process – from A to Z. It also means that AMP is a community space, where developers can contribute new elements, forming a richer offering for everyone. During the initial months following the release of AMP, there was a heavy focus on how AMP can support blogs and editorial news content. It soon became evident that there was more in store. 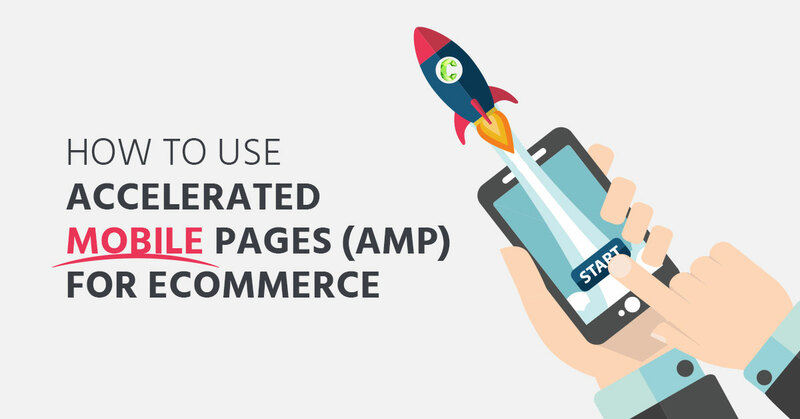 Ecommerce is set to benefit immensely from the impressive site speed AMP can generate. On average, an AMP page will load at least 4 times faster than a non-AMP page. Google sums it up: Faster is better. Drawing your attention to another 3-letter acronym – AMP works to improve SEO (Search Engine Optimisation). Tieing in quite nicely with Google’s move to index mobile first, converting ecommerce web pages to AMP increases the visibility of those pages in search engine result pages (SERPs). It’s also rumoured that Google is positioning these mobile-page results at a higher ranking than non-AMP. However, you could also argue that this comes down to performance factors (page-load speed), which are prominent ranking factors for Google’s algorithm. AMP first supports your ecommerce store by making your product pages visible to consumers and then creates a seamless shopping experience when browsing. So, what will the increased speed of your ecommerce web pages mean for you? AMP improves ecommerce conversion rates by helping to increase click-through rates and decrease bounce rates. By providing fast page-load times, shoppers can enjoy a frictionless commerce experience. With zero latency and an all-around seamless user-experience, there will be fewer road-blocks in the purchase journey. The wonderful thing about integrating AMP into your website is that your whole site doesn’t need to be converted at once. You will need to begin by analysing your ecommerce site and identifying the goals of key pages. You may find answers or direction for your next steps in your SEO strategy, especially in regards to focus keywords and pages. Also turn to your Google Analytics. Where can you identify where there is room for improvement in regards to the performance of your ecommerce site. Can you identify pages with higher bounce rates than others? Is there lower than average organic traffic to particular web pages? Look at using these lower-performing pages as tests for AMP. 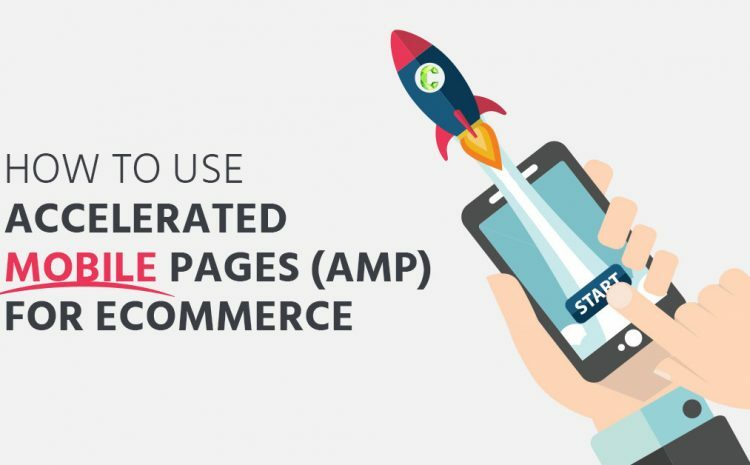 Alternatively, you could also approach integrating AMP by starting with core departments of your ecommerce store. For example, for an online store that sells activewear and apparel for men and women, converting the Womens Leggings, and Mens’ Training Pants pages (or similar) would be a good start. Google advises that AMP can be built-out across your entire ecommerce site from the home page to the purchase phase, which would then take the user off AMP and on to HTML or PWA. Google are also encouraging advertisers to use AMP for landing pages. Within the advertising ecosystem there’s not enough transparency when it comes to performance and it’s really hard to analyse what’s slowing your page down, but if you component wise the page then it becomes quite easy – if an advertisement is slow to load then it’s the sole responsibility of the advertiser. So in summary, creating super-speedy landing pages will improve user-experience and increase conversion rates. Although the possibilities are endless, the success of the AMP project is primarily dependent on the uptake and adoption of this technology. …succeed on the leadership of many, not the leadership of one. Can you identify areas of your ecommerce store where faster mobile browsing could help to improve user experience and generate sales conversion? We would love to hear your thoughts on Google’s AMP Project. Comment below and we’ll get right back to you with a response. Alternatively, get in touch with us here, and one of our team members will email you back.